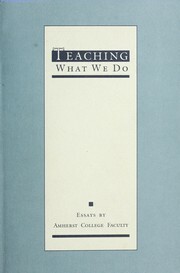 3 editions of A history of Amherst College during the administrations of i... found in the catalog. Add another edition? Are you sure you want to remove A history of Amherst college during the administrations of its first five presidents, from 1821 to 1891. from your list? 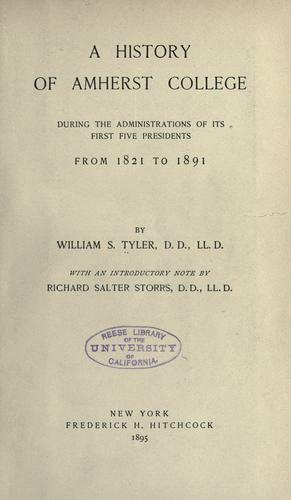 A history of Amherst college during the administrations of its first five presidents, from 1821 to 1891. 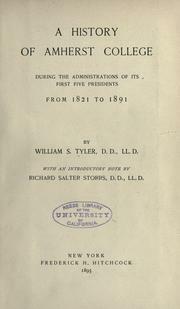 Published 1895 by F. H. Hitchcock in New York . xxiii p., 1 l., 312 p.